Over the past decade, Africa’s commitment to regional economic integration has moved closer to reality with the continent’s total trade (both imports and exports) tripling in value to $1.2 trillion. Challenges remain however, including inadequate transportation infrastructure, and unreliable power supplies. Second, basic social services and social protection can help mitigate the risks associated with more competitive and open markets. Countries can use integration as an opportunity to strengthen health, nutrition, education and vocational training, all of which contribute to making the workforce more productive. 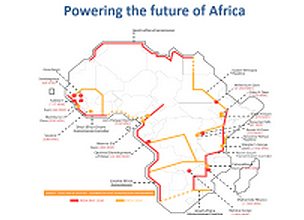 Dieye and other African Leaders advocated these views at the 2013 African Economic Conference, which wrapped up last week in Johannesburg, South Africa. Assessing the current situation, conferees examined the political economy of regional integration and looked closely at some practical solutions to advance it. As it so happens, there was an interview by Alan Greenspan (Former Chair of the US Federal Reserve) which the FT published last weekend...It was sobering to read a humbling assessment by this towering figure in the World of economics and finance articulating in a non-defensive way where he thinks he may have gotten things wrong. His assessment of risk modelling is particularly interesting. He cites his misplaced belief that complex mathematical models could forecast the behavior, actions of individuals, households or businesses let alone explain the rationality of their actions under particular market conditions. He goes on to say and I quote: “The models failed at a time when we needed them most. The Fed model failed. The IMF model failed.” and he concludes, “Today there are no easy answers or straightforward heroes or villains ...in a shifting landscape we all need to keep challenging our assumptions and prejudices”. Mr Kaberuka went on to describe the unique challenges faced by African economies due to what he called the "intangibility" of the national borders created by colonial powers. He pointed out that if South Africa (the largest economy on the continent), which is composed of 8 provinces, had to contend with separate currency, passport, borders, investment laws, immigration barriers, armies, Foreign Service etc. that it would have an obvious damper on economic growth potential. One recurring theme throughout the conference was that most of the reforms needed to facilitate trade have already been agreed upon under regional trade agreements, the issue now is that they require the active support of national governments and strengthening of national administrative capacity. 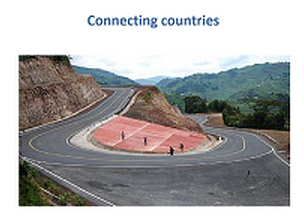 According to Emmanuel Nnadozie, Director of the Macroeconomic Policy Division of the UN Economic Commission for Africa (ECA), "this will mean that governments commit to implement and facilitate the development of the relevant capacity of various actors including strengthening the role and capacity of Africa’s private sector to participate in large regional integration projects as well as negotiation with global actors." At a time like this of weak global demand, with so much volatility, so many unknowns. The real cushion, the engine is Africa’s internal market. taken at a border within the COMESA region. The pile up is paper work; immigration, customs, security, sanitation inspectors, each with several paragraphs of questionnaire to fill, several signatories multiplied two times for both countries. 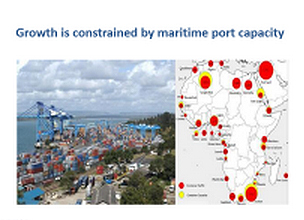 Any inefficiencies at ports are external costs imposed on all the user countries and the regional economy at large. They require massive investments. 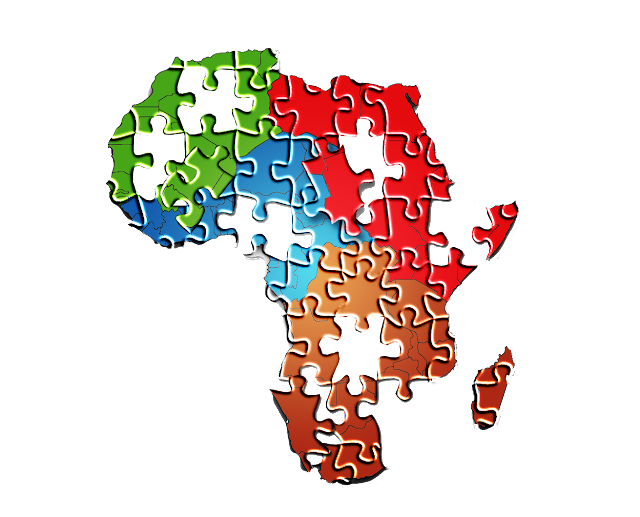 I came away from the 2013 African Economic Conference with what I feel is a comprehensive look at Africa's current economic situation, and some concrete ideas about the steps African leaders are taking to advance their goals. 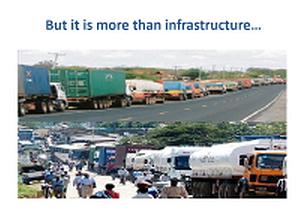 There is no doubt that in the coming decade, regional integration is on top of the list of Africa's economic agenda.